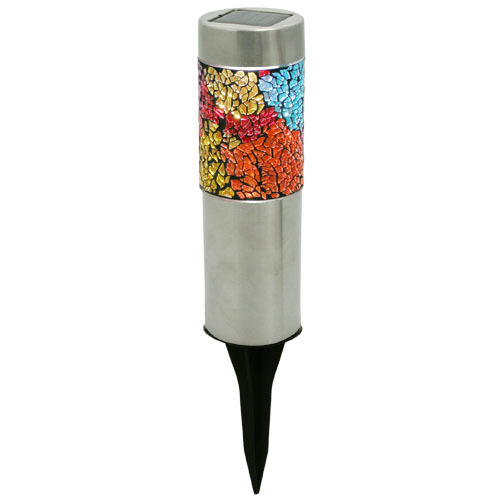 These 4 mosaic solar pathway lights would be beautiful addition to anyone's landscape, garden or walkway. The mosaic design makes this product look great even during the day as its rechargeable AAA maH Ni-Cd battery charges. This solar mosaic stake light will have optimal performance when placed in an area that receives direct sunlight. It is a weather resistant stake light that is made of plastic, glass and rust resistant metal. 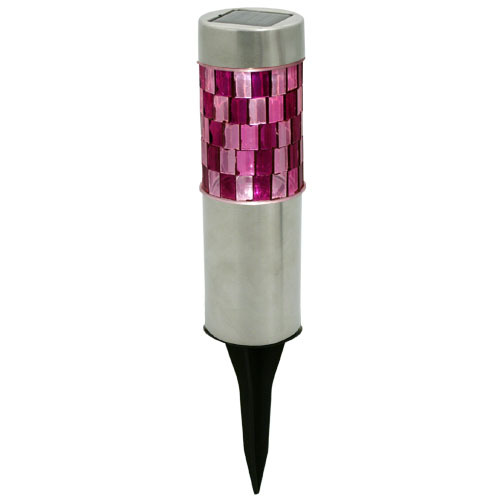 This solar stake light is sure to help make your yard stand out from the rest. 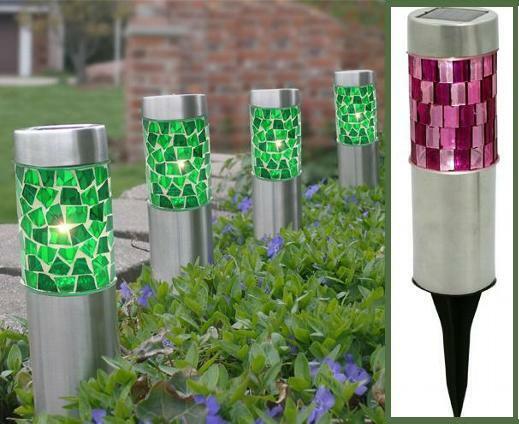 These beautiful solar pathway lights are available in 2 exciting designs; Emerald or Violet.